September 24 - 30 is National Fall Foliage Week: Five Activities for Enjoying the Fall Colors - All Care Hawaii. LLC. About this time of the year, you might be wondering where the summer went! It’s true, the warm summer days have come to an end, but there’s a lot to be said for the beauty of fall, too. Nature’s color palette moves from vibrant greens to warm golds, browns, and oranges. The days are cooler, but not yet cold, so you can enjoy a hot cup of tea or apple cider without feeling like you need to break out the thick wool sweaters. Your senior parent might also be looking forward to the fall, perhaps especially enjoying the colorful fall foliage. If so, September 24 – 30 is a great time to celebrate the fall because it’s Fall Foliage Week. We’ve gathered five great fall-themed activities for family caregivers and seniors to do together to get into the autumn spirit. It may only be September, but Halloween is right around the corner. Get a jump-start on the holiday by making trick or treat bags now. You can purchase small paper bags and decorate them with stickers or stamps, which can be a fun and easy activity for seniors with cognitive or mobility issues. For seniors with more mobility and who are able to follow instructions, you can get more complex, such as decorating bags to look like jack-o-lanterns. Fall is apple season and many apple orchards offer customers a chance to pick their own apples. Caregivers or grandchildren can help seniors to pick apples and the walk through the orchard is a lovely way to get some exercise. Caregivers can take seniors for a ride to look at the fall colors. Find out when the peak leaf season is in your area or in nearby areas and plan an outing where there are plenty of trees to look at. Bring along a picnic lunch to enjoy and a camera to capture the beauty of the day. Purchase a leaf-shaped cookie cutter and pull out your favorite roll-out cookie recipe. Seniors can help with decorating cookies. This is also a great activity to involve grandchildren in, giving them a chance to bond with their aging grandparents. Make or purchase fall decorations for your parent’s house. Leaves can be strung together to make a colorful garland for the mantle. You can also make or purchase a fall wreath for the front door. Table centerpieces made from pumpkins and gourds also add a touch of color. 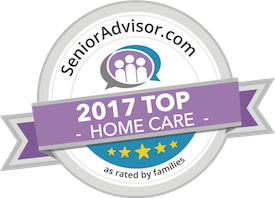 Have questions about home care services in Kailua, HI? Contact the caring staff at All Care Hawaii today. Call us 24 hours a day, 7 days a week! Call Oahu (808) 206-8409 or Maui (808) 664-3853. Jermie graduated with her nursing degree from Ateneo De Davao University. Jermie has a compassionate nature, being raised by her Grandparents and Aunt who instilled in her respect for elders, as well as the “golden rule” to help others is priority. Jermie worked for many years with two of the leading Health Care Agencies in Hawaii and received many accolades from both the companies and the clients. During this time she expanded upon her extensive health care training and knowledge, by gaining vast practical experience. Today Jermie’s skills and experience are utilized in her oversight of all aspects of care provided by All Care Hawaii, assuring that the company she founded remains consistently committed to the best care for others and responsive to all client’s needs.